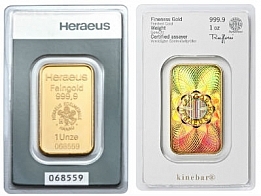 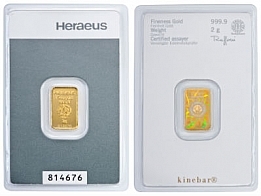 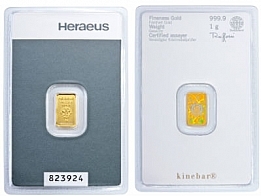 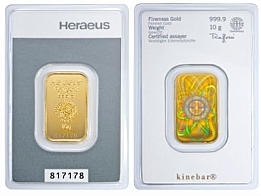 Buy Heraeus Kinebars in sizes ranging from 1 gram to 1 Ounce from Suisse Gold. The Kinebar features a laser hologram on the back of the bar, which verifies the bars authenticity. 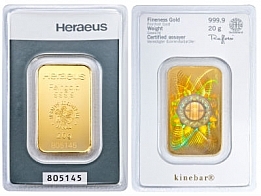 Heraeus gold Kinebars are available for Swiss storage or delivery.